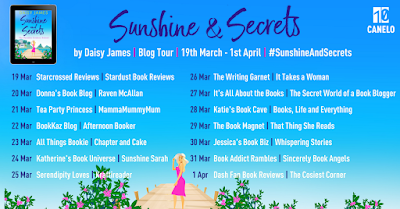 Today I have invited author Daisy James to my blog to talk a little bit about Sunshine & Secrets and a lot about food. There's even a delicious and deceptively easy chilli chocolate brownie recipe to follow. But this beautiful island break might be more work than she’d expected…. With only two weeks to have the kitchen installed, cocoa pods going missing from the plantation and the notoriously relaxed island workmen to contend with, she’s going to need some help. Gruff but charming estate manager Zach Baxter, is only too happy to offer his opinions. As the two clash heads can they remain focussed on the job in hand and get the cookery school finished in time? 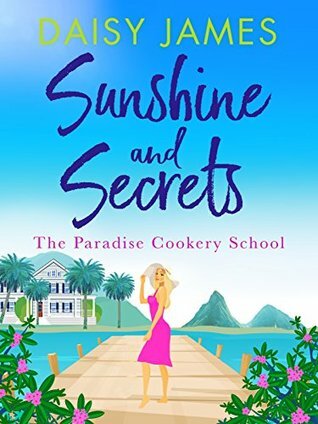 Daisy James, author of Sunshine & Secrets, to my blog today to talk a bit about her latest book, delicious food, and a tempting chocolatey recipe. Yum. The Paradise Cookery School - Sunshine & Secrets is set on the spectacular Caribbean island of St Lucia. The story centres on Millie Harper as she attempts to oversee the renovations of a dilapidated villa situated on a disused cocoa plantation, high on the hillside overlooking the town of Soufrière in the south of the island, before a group of discerning foodies descend for a week’s tutorial. Not only is Millie in charge of making sure the laid-back builders install the kitchen sink in the right place and the precious Italian marble units don’t get cracked, she is also responsible, along with her friend and Caribbean chef Ella Johnson, for triple-testing every recipe that will feature on the course which turns out to be a massive undertaking. In order to make sure the story was as authentic as possible, I did a great deal of research into the food of St Lucia. Caribbean cuisine is a blend of African, European, Indian, Arab and Chinese influences, a real melting pot of flavours, textures and aromas. For the savoury dishes there is a heavy emphasis on spicy jerk flavours and marinades using what is know as the Holy Trinity of Ingredients – Scotch Bonnet peppers, spring onions and fresh thyme. Desserts are varied; from myriad tropical fruits such as mangoes, passionfruit, guava, breadfruit and sapodilla, to baked goods such as Caribbean rum cake or truffle pie, not to mention chocolate and coconut cookies. As the Paradise Cookery School is situated on a cocoa plantation that the owner, Claudia Croft, hopes one day to bring back to life, many of the recipes featured in Sunshine & Secrets contain chocolate or cocoa. When I was researching the recipes for Millie and Ella to showcase to their students, I set about baking my own chocolate-inspired creations. My family were overjoyed. The kitchen became infused with delicious aromas of chocolate brownies – which to everyone’s surprise revealed a generous sprinkle of chilli which goes really well with chocolate. I baked chocolate cheesecakes, chocolate cookies, chocolate cupcakes, we even had grilled salmon in a chocolate and ginger sauce. Here’s my recipes for chilli chocolate brownies. You can add as much or as little chilli as you like, depending on your preference, but we like them to have a bit of a kick. Put the butter, sugar, vanilla essence and chilli powder into another bowl and beat until fluffy. Break the eggs into a small bowl, beat then add a little at a time to the buttery mixture. Sift the flour and cocoa powder into the bowl and beat well, then add the melted chocolate. Spoon the mixture into a lined tin (20cm square) and bake for 35 minues at 180C of Gas Mark 4. They are ready when a crust has formed on the top. Cut into squares and dust with icing sugar. This sounds like such a great book! 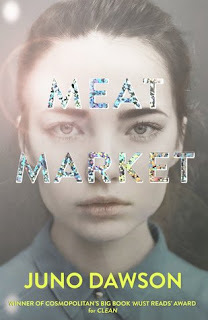 I utterly love books that talk about food because it's like combining my two great loves! I'll definitely be picking this up! Sounds like a good book! May try that recipe of Brownies, one of the only things which I cannot bake! Those brownies sound soooooo tasty.